Decision to block the strategic Strait of Hormuz rests in the hands of the country’s Supreme Leader Ayatollah Ali Khamenei, says official. Any decision to block the strategic Strait of Hormuz rests in the hands of the country’s Supreme Leader Ayatollah Ali Khamenei, the chairman of Iran’s Joint Chiefs of Staff said Sunday. Gen. Hasan Firouzabadi said that while Iran has a contingency plan to close the route, as commander in chief of the armed forces, Khamenei, would have to make the final decision, Al-Arabiya reported. Firouzabadi’s comments, which were reported by the semi-official Fars News Agency (FNA), come two weeks after the European Union enforced a total oil embargo against Iran for its refusal to halt its uranium enrichment program. Iran could prevent even “a single drop of oil” passing through Strait of Hormuz if its security is threatened, a naval chief said on Saturday. Ali Fadavi, naval commander in Iran’s elite Islamic Revolutionary Guard Corps (IRGC), added that Tehran will increase its military presence in international waters. 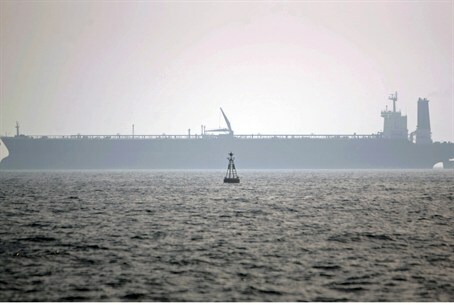 Iran has repeatedly threatened to close the Strait of Hormuz shipping channel, through which 40 percent of the world’s sea-borne oil exports passes, in retaliation for sanctions placed on its crude exports by Western powers. Military analysts, however, have cast doubt on Iran’s willingness to block the waterway, given the massive U.S.-led retaliation it would likely incur, Al-Arabiya reported.